An ideal location and exceptional comfort define the Cornerstone Lodge at the Fernie Alpine Resort. Relax in a fully-equipped 1 or 2 bedroom condominium suite. Unit amenities include full kitchen, gas fireplace, air-conditioning, high-speed internet, cable TV & large balconies with spectacular mountain views. Building amenities include an indoor whirlpool, fitness room, underground parking, resort daycare as well as Legends Restaurant & Slopeside Cafe located on the main level. Renowned as a winter playground for the adventurous and snow-shy alike, Fernie provides ample opportunity for winter activity and fun. 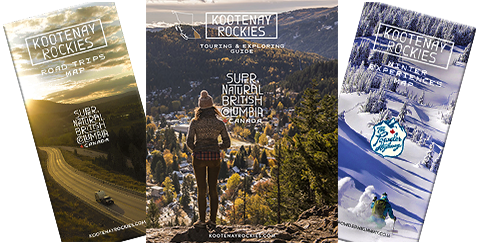 Ski and snowboard by chairlift, snowcat or cross-country trail with 7 distinct areas to discover. Explore the network of forest trails that become destinations for snowshoeing and fat-biking in the winter months; Fernie is your destination for adventure from December to April. In the summer, the sparkling waters of the Elk River winds its way through the Elk Valley, offering fly-fishing and float trips on the calm stretches in town and wild whitewater rafting in the lower canyon. Hiking ranges from easy 2 hour waterfall strolls to the full day iconic Heiko's Trail across mountain passes. Mountain biking is well served with over 100 trails and a Bike Park; plus there is an Aerial Park, Dirt Jump Park and much more to discover. Welcome to the Cornerstone Lodge.